A Clear Channel-owned radio station in Toledo, Ohio has ruffled the feathers of some women’s rights activists with its controversial “Pay Off Your Side Piece” contest. According to a writer for the Toledo Blade, an advertisement was played on 104.7 WIOT Toledo’s Rock station that targeted men who were involved in a love triangle and in need of some assistance with getting rid of their clingy “side piece”. Writer Amanda Ugartechea says a woman recorded the ad for the iHeart Music channel. Upon further research, Ugartechea found that WIOT’s website also has an online page dedicated to promoting the controversial ad. 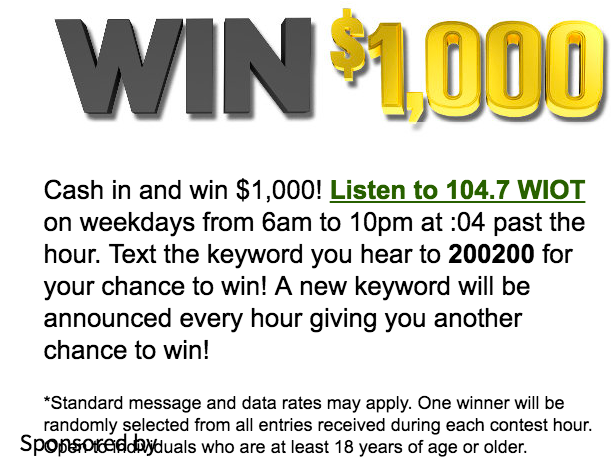 A picture of a pretty blonde model with a guilty look on her face can be seen under a graphic that explains how listeners have a chance of winning $1,000 to pay off their “side piece”. It’s a pretty bold ad amid the current support women’s rights activists have with the #MeToo and #MuteRKelly movements. Do you think this promotion is a slap in the face to women? #KeepItTrue100 below.